Laptop experts often say that 15 inch screen size the optimum size for getting work done. 15 inch screen allows you to give you decent workspace to work with and it best for not straining the eyes. 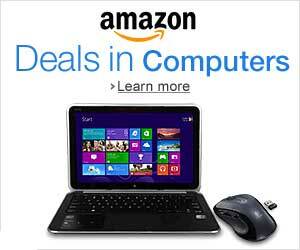 So what do we see while picking the best 15 inch ultrabooks for business as well for play? ASUS ZenBook Pro packs more than what one can imagine. It is one of the most well equipped ultrabooks out there. It has looks of a serious businessman. The screen packs 4K 3840 by 2160 resolution that lets you see more at a time simultaneously. It is one of the few ultrabooks with dedicated graphics card which makes it great for gaming too. The keyboard is full size and backlit too letting you work and play irrespective of your surroundings. Easily the best ultrabook with 15 inch screen of 2016. * Windows 10 (64 bit) Signature Edition. 1­year * International Warranty with 1­year Accidental Damage Protection. As said earlier, the ultrabooks with 15 inch display are nor too big or small. So, unlike 11 inch ultrabooks, you can work at prolonged duration without getting eye-strain. And at the same time, 15-inch ultrabook are smaller than 17-inch laptops, so they are easy to carry around. An ideal 15-inch ultrabook should have atleast 256GB SSD which is required to speed up boot times and application start-up times. Display should have full HD display so that you are able to work with multiple windows and documents at a time. If you are low of budget, you might get only HD resolution that is found on most low-end sub 200 dollar laptops as well. Other things to look out include battery life timings, RAM and convertible functionality. Battery life should be atleast 5 hours with active usage. RAM ought to be atleast 8GB and if you heart touchscreen, then getting a 15 inch convertible laptop makes sense. 1) Display and resolution: Business users prefer having matte coating over the display. While this makes them look less attractive, it allows businessmen to work under brightly lit environments such as direct sunlight and so on. The resolution also plays a vital role. Business users love working with at least two documents at a time. This is where resolution comes into play. A display with good resolution will make the text look crisp and it would be able to show more data simultaneously. If you are looking for slightly compact design then see the best 13 inch ultrabook collection but if being portable is the key then it is better for a nice cheap detachable laptop instead of spending so much on an ultrabook. 2) Solid State Storage or hybrid configuration: An ultrabook laptop in 2016 should not only be thin and light but also should come with solid state drive instead of mechanical hard disk. Time is money and using SSD ensures multi-fold increase in performance thus saving time and money. Your applications will open immediately and everything will become instantaneous – like iPad. Cheap ultrabook models come with HDD as standard but if you are ready to spend more, you can get one with hybrid storage or SSD. We recommend getting an ultrabook with at least 128GB of SSD and if you are planning to store movies and games on it, go for the one with at least 256GB capacity. 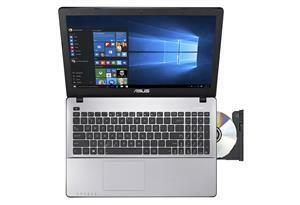 3) Integrated GPU for business and discrete graphics for gaming: If you get an ultrabook with latest Intel graphics card and you will be doing is working on office documents, Photoshop and full HD movie playback, you do not need to get one with discrete graphics. The latest processors from Intel have integrated GPU that have enough power to handle almost every single task out there, except gaming. If you are a gamer, then you must get one with discrete graphics unless you are willing to play games under lowest settings. 4) Good battery life: The latest Ivy Bridge and Haswell chipsets from Intel have allowed the users to enjoy good battery life as they consume very little power and yield excellent performance. With latest battery technology, some ultrabooks can give you 6-7 hours of real world use which is extra-ordinary for such powerful machines. This 15 inch ultrabook is thin, light and packs all day battery life. We were able to get 8-hours while doing web surfing and office work and never felt the need of lugging around with a charger. It comes equipped with a PCIe based SSD storage that makes it much faster than other SSD-solutions and every tasks a thrill. The audio is handled by B&O which when combined with its brilliant full HD touchscreen display yields immersive, cinematic experience while delivering great boost to your productivity as well. With entire body is made of metal, this laptop keeps up with you by delivering all-day battery life. 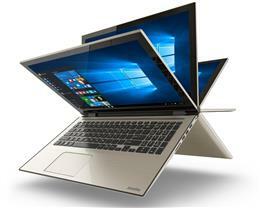 Powered by Core i7 processsor, the Lenovo Flex 4 delivers stunning performance, thanks to next-generation 6th Generation Intel Core i-series chipsets. You get the Intel i7 processor, 256GB SSD and 16 gigabytes of RAM – all of which ensure smooth windows 10 experience. It has touchscreen display with 2-in-1 convertible functionality allowing you to use it in many modes. Dell Inspiron 15 Pro is the latest AMD powered ultrabook to debut packing a lot of power under the hood thanks to the latest AMD A8 quad core processor that is backed by dedicated AMD Radeon R5 GPU for excellent graphics. It is sleek, thin and somehow this ultrabook packs a DVD writer and backlit keyboard as well. 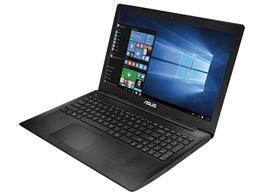 The ASUS F556UA-AS54 is a cheap 15-inch ultrabook laptop but it does packs more than enough power to get any job done without any or much lag. It has fast 256GB SSD for almost instant app loading times and that 8GB RAM will ensure that even multiple applications or tabs in web-browser are able to slow you down. The screen packs full HD resolution so you will discover better graphics and crisper text. Powered by a powerful Core i7 processor, the HP ultrabook is sleek and stylish. It packs 256GB SSD which is more than enough for storing your data and media files. It looks absolutely beautiful in real life and in pictures. 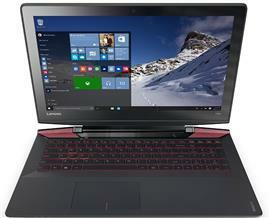 It is one of the few ultrabooks under 1000 dollars that pack a full HD display, i7 processor and even touchscreen. 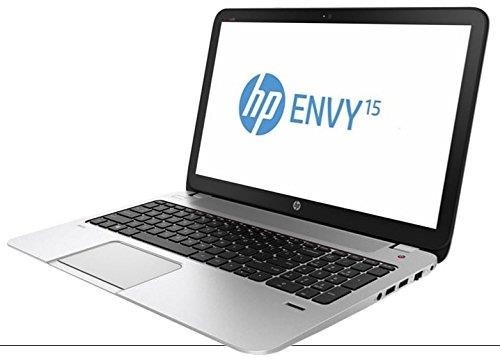 The HP Envy 15-inch ultrabook does not disappoints in the battery life department too, churning out a whopping 6-to-8 hours of runtime. Dell Inspiron laptops are well known for their excellent build quality and well designed keyboards. This convertible laptop from Dell has thin chassis and lets user use it in multiple modes. So you now you can have a 15.6″ tablet for consuming multimedia content and web surfing. Lenovo Y700 is a massively powerful 15-inch ultrabook with a ultra thin design and despite that is features a dedicated Nvidia 960M GPU. You get spacious 1000GB, 8GB RAM which when coupled with i7 CPU gives you one of the best 15 inch ultrabook of 2016. The keyboard is backlit and full size with dedicated numpad for faster data entry. 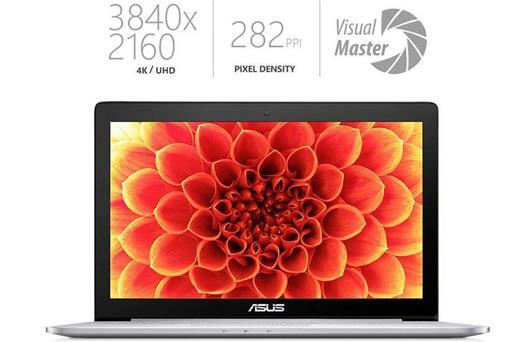 ASUS K501UX is one amazing 15″ ultrabook. Packing full HD display, the K501UX features a very powerful i7 6500U processor, Nvidia graphics card for movies and gaming and dual band Wi-Fi for super fast web browsing experience. It is the latest ultrabook laptop with skylake processor. If you are looking for a feature packed ultrabook with 15.6” display, you can blindly go with the Dell Inspiron 15 i5557. It comes with backlit keyboard, touchscreen, 8GB DDR3 RAM, Bluetooth, three USB ports and a power sipping Intel Core i5 ultra low voltage processor. This processor is fine tuned to generate very little heat. Asus ROG GL552VW is an ultra thin gaming ultrabook laptop packing all aluminium chassis and superb build quality. It has dedicated Nvidia 960M GPU and backlit keyboard as well. You simply cannot go wrong with this laptop if you are going to do heavy duty work on it. * Powerful 6th-generation Intel Core i7-6700HQ 2.6GHz. * 16GB RAM; 1TB 7200RPM Storage. * 15.6 inches Matte IPS FHD display. 1920 by 1080 resolution. NVIDIA GeForce GTX 960M gaming graphic card. * Feature the latest USB3.1 Type-C port for more convenient connectivity options. Asus X555DA is super slim and packs top of the line AMD quad core processor. Couple that with 256GB SSD and 8GB RAM, you have a winner in your hands. This ultrabook even has DVD drive something you do not find in ultrabooks and laptops. * 2 x USB 3.0, 1 x USB 2.0, 1 x HDMI and VGA ports. If you love the concept of 2 in 1 laptops, then you will love the Toshiba Satellite Fusion 15 2-in-1 ultrabook. 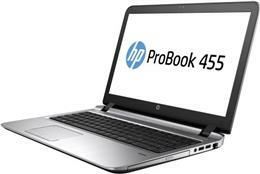 If you are a fan of AMD ultrabooks, we present to you the HP ProBook 455 packing most powerful AMD laptop processor and whopping 16GB of memory for about 400 dollars.